Drive customer engagement and grow your business. 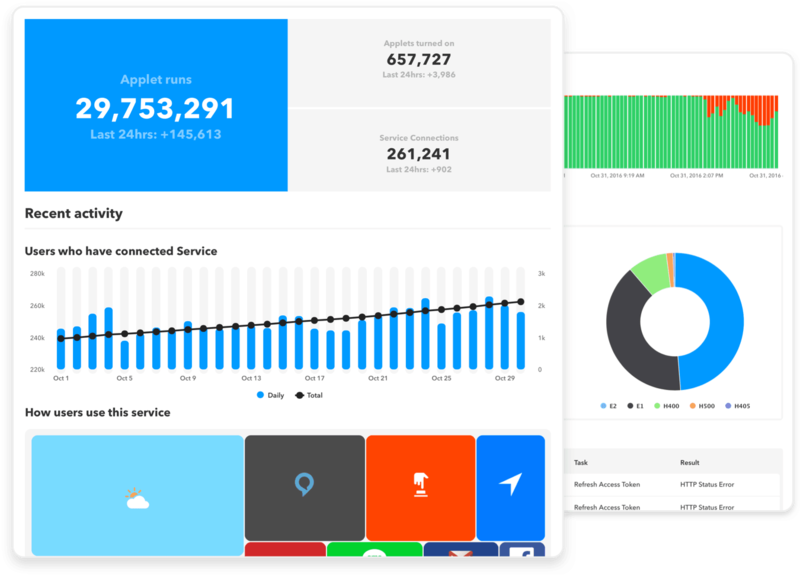 IFTTT powers the connections your customers want, without requiring costly in-house integrations. Increase the touchpoints your customers have with your business. Our Platform empowers you to build personal and innovative experiences that fit conveniently into your customers’ daily lives. Get unprecedented insights into who your customers are, how they use your service, and what they connect to so you can shape your business to their behaviors. 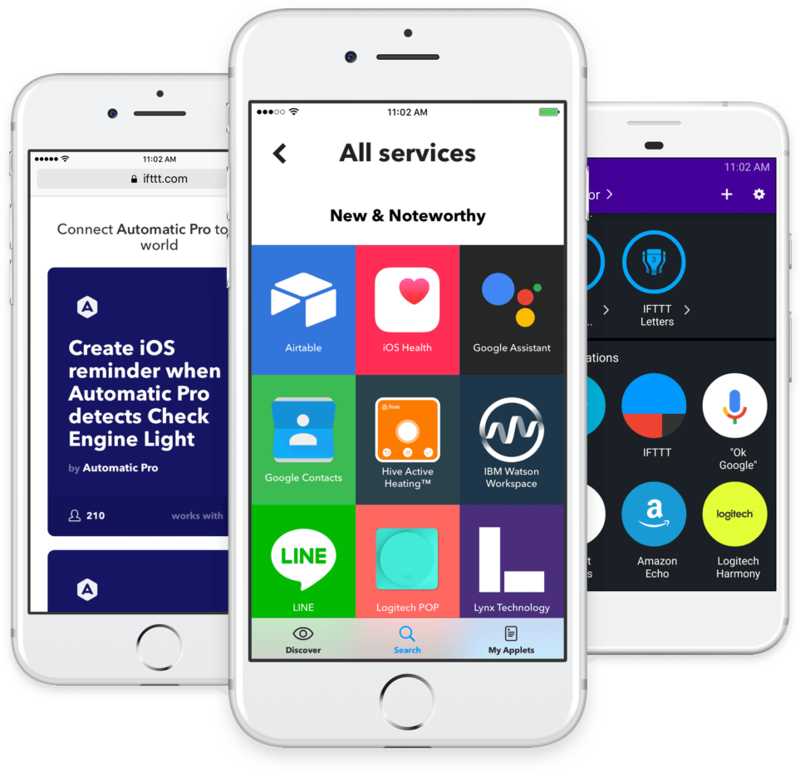 Give your customers complete control of how their apps and devices access your service. 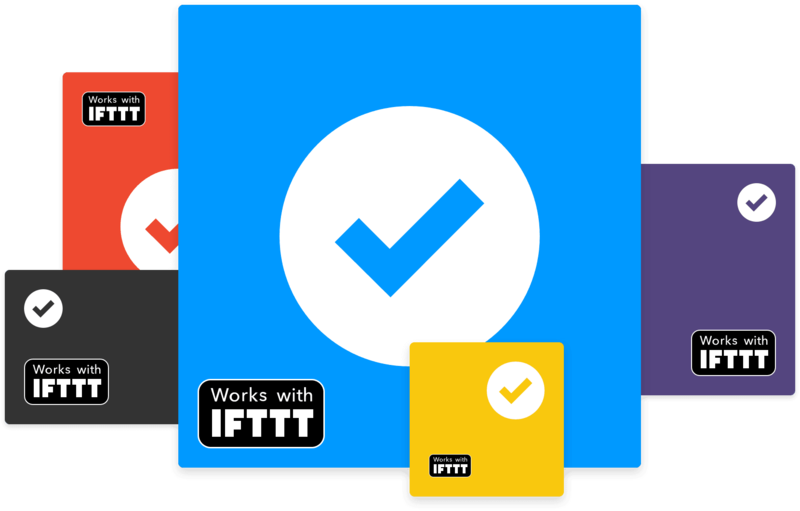 Build trust by working with IFTTT.